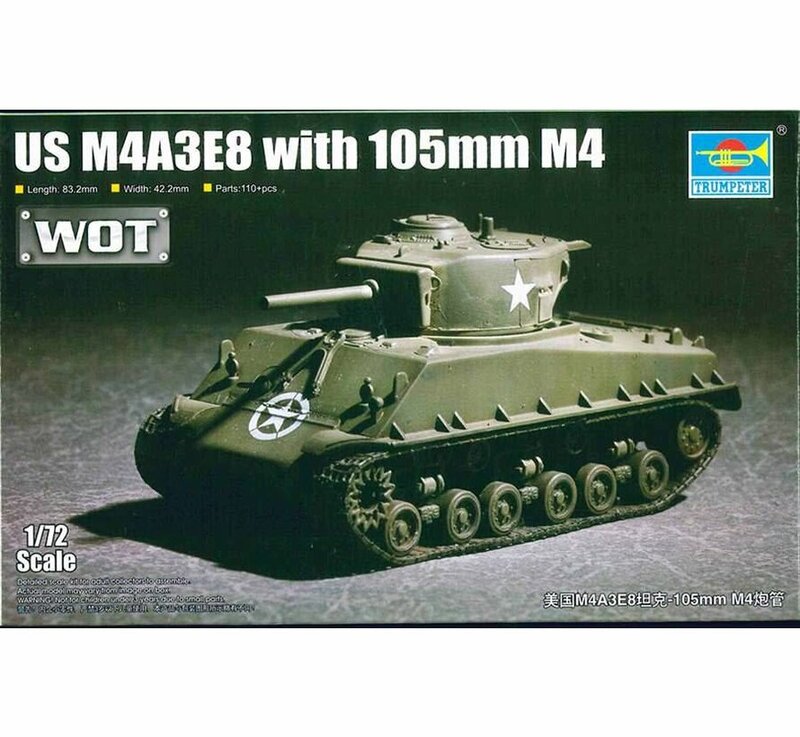 This Plastic model kit of the US M4A3E8, the most widely used medium tank by the United States and Western Allies in World War II. 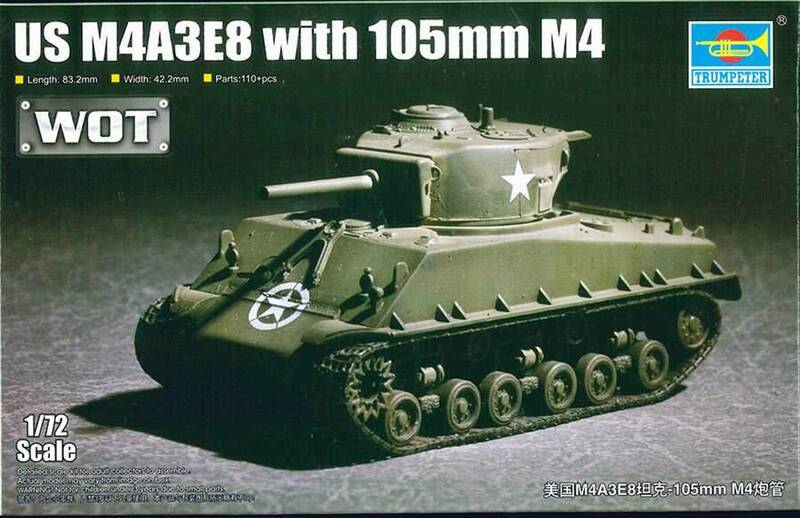 M4A3s were also used by British forces in Indonesia during the Indonesian National Revolution until 1946, when they were passed on to the KNIL, which used them until 1949 before they were passed on to the Indonesian Army. The Kit has 110+ parts, 4 sprues, single piece lower hull, upper hull with exterior detail, separate turret and hatches, rear panel with exterior detail, single piece gun barrel, travel lock, 7.62mm machine gun, driveline with (road wheels and simplified track lengths), includes base. 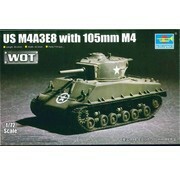 Decals and 5-view painting reference for a single tank.